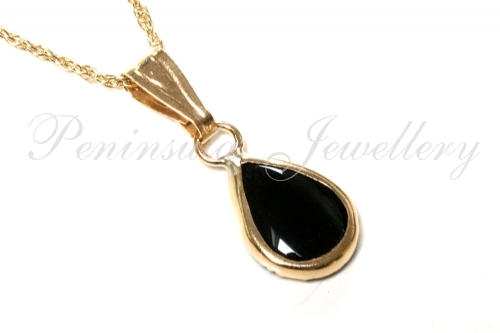 Dainty Black Onyx Teardrop pendant with solid 9ct gold fittings. Dimensions: (teardrop) 5x7mm, 15mm drop (including bail). This pendant comes complete with a 9ct gold, 18 inch Prince of Wales chain. Supplied in a luxury gift box. Made in England.